Flickr Wants to be "Awesome Again"
The Verge recently interviewed Markus Spiering, Flickr's 'head of product.' 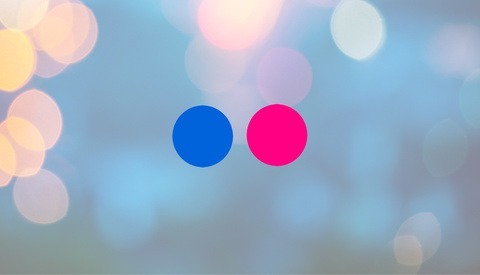 Since Spiering has taken over in 2011, Flickr has received a visual face-lift and an updated iPhone app among other things. Flickr was starting to get lost amidst Instagram and Facebook, but with over eight billion photos from over 87 million users, it doesn't look like it's going anywhere soon. You’ve hired an undisclosed number of people for the Flickr team since Mayer started (although it has not quite doubled, as was rumored). Has the pace of development accelerated? Yes, with more manpower you can do better things. I can’t talk about like the things that are coming up. But if you think 2012 was a big year, 2013 will be bigger. Creating beautiful and engaging experiences for Flickr users and attracting new users to the service is always our goal. The latest update to the app was primarily driven from direct user feedback. Users wanted to download their photos, wanted to mention their friends in their photos and comments and asked for faster uploads, while maintaining the original photo quality. So that’s what we built and released. What about other social services that have become more photo-centric, like Tumblr and Instagram? Do you watch what they’re doing? You are always aware of what the market is doing and where the market is going. Where Flickr is uniquely positioned is, we have this amazing big website, and we’re doing a lot of work over there. We’re making a strong push toward mobile. And the really amazing thing about Flickr is it’s bigger than Flickr itself. If you take a photo with a third party app like Hipstamatic and you simultaneously upload it to Flickr, and you go home and turn on your Apple TV — your photo is there, and it’s only because it’s on Flickr. So what we always try to do is think about our own product experience, but also about the platform. And the interesting piece about the platform is that our own products are built on our API. It’s something that’s super important to us because it makes Flickr bigger than just Flickr. Almost every photo sharing app — Hipstamatic, Instagram, a lot of other services — uses the Flickr API to post photos or retrieve photos. On the desktop, that is very popular with our users, we have Adobe Lightroom, iPhoto. On tablets you have Flipboard. On the web you have services like Pinterest which integrate with Flickr. Apple TV and Google TV have Flickr built in. 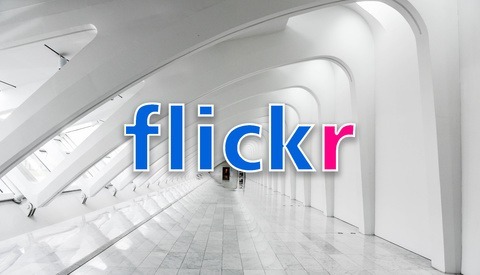 What’s the end goal in focusing on the platform — will this ensure Flickr remains relevant? The end goal for the platform is to provide users with the possibility that, as long as they have their photos on Flickr, their photos are everywhere. In the end it’s a big ecosystem. You have multiple devices, you have multiple screens, you have different software. Regardless, if you for example got a new Windows 8 machine and Flickr is built in, or you use a Mac and Flickr is built in... it’s something that, you have Flickr, and you always have this functionality with you. To be perfectly honest, I can't say that I'm completely convinced. Spiering doesn't seem to be able to admit where Flickr is going - if anywhere. To me at least, they seem to be happy existing as part of "the big ecosystem," but resting on your laurels is not a good way to keep people interested. In this day and age, if you're not innovating, you're falling behind. I don't know, I want a place to share and view photos and meet other people interested in photos and photography. It seems like Flickr is the place. I have also a 500px account and the "views" spike then fall to zero. It seems like people continue to enjoy my images much longer on Flickr than other services I've tried. Add to that Lightroom integration, and easy sharing options like Twitter, Facebook and discussion boards and I'm all-in for Flickr. I think Flickr will be relevant again in the near future. I use both Flickr and Instagram. The image quality of photos on Flickr is so much better. But Instagram has much more user activity. after all these years, they STILL DON'T HAVE an iPad App! 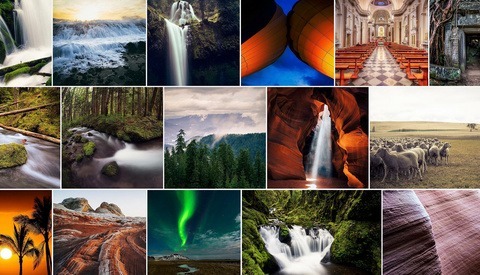 Flickr's iPhone app opens in iPad, that's it. They fell way behind... Hope they get things moving. I have not used flickr for a long time now (upload once in a while but other than that . . . no) but for some reason, I can't find the strength to give it up. In fact, I have renewed my Pro subscription up to September of next year.